The dazzling sequel to SEGA’s hit endless runner, SONIC DASH. Featuring the cast and world of the new TV series, SONIC BOOM.New and amazing 3D worlds, challenges and game play. Play as Sonic the Hedgehog, Tails, Amy, Knuckles, and Sonic’s new friend, Sticks. Let’s do this!SONIC... xem thêm The dazzling sequel to SEGA’s hit endless runner, SONIC DASH. 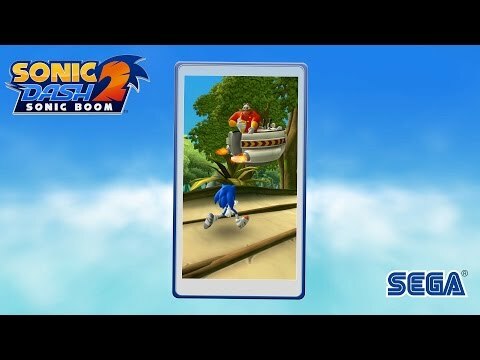 Featuring the cast and world of the new TV series, SONIC BOOM.